The recommendations of a parliamentary review of prison education have been ignored, reform charity the Forum on Prisoner Education has warned. A year after a committee of MPs wrote a damning report on the quality of learning in prisons in England, the FPE says little has improved. It says only four of the MPs' 55 recommendations have been fully met. Ministers said there had been a "great deal of progress in the provision of offender training and education". 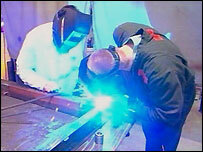 It said plans published in its Green Paper last December would help offenders find real jobs on leaving prison. The select committee found half of inmates lacked the skills needed for 96% of jobs available upon release. The committee found only a third of inmates had access to formal education, lasting on average nine hours a week, and just 31 out of 75,000 prisoners had access to the internet as a "learning tool". The MPs called for an "overarching strategy" on education linked to rehabilitation. The committee called for employers to run more - and relevant - vocational training for inmates and said tutors working in prisons should be better informed about changes to the service. When the report was published last year, the chairman of the education select committee, Barry Sheerman, said the government had failed to meet its manifesto commitment to "dramatically increase the quality and quantity of education provision". And December last year, the Adult Learning Inspectorate was highly critical of skills programmes in prisons, saying over half of prisons offered inadequate provision. Now the FPE says too few of the MPs' recommendations have been acted on. In terms of providing an overarching strategy on prisoner education, the organisation said "no noticeable change has taken place in this area". And recommendations to improve the quality and relevance of vocational training had only been partially met at best. The FPE said tutors working in prisons were still ill-informed about changes to education provision and the turnover of staff was still high as a result. The director of the FPE, Steve Taylor, said: "We don't doubt that the government wants to improve prisoner education, but we fail to see why some basic reforms are taking so long. "Prisoners are still punished by lower pay for taking part in education than for work - it doesn't take a green paper to sort that out," said Mr Taylor. 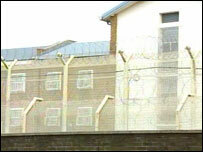 "Government would close a failing school or college if improvements took this long, so why is it acceptable in prisons? They should return to the committee's recommendations and take urgent action." A spokesperson for the Department for Education and Skills said that since 2001, qualifications in literacy, language and numeracy had more than doubled and last year, 41,000 offenders leaving prison went directly into employment, training or education. "But we are not complacent. We need to be providing opportunities for education and training which lead to skills and qualifications that are meaningful for employers and lead to real jobs," he said.